Safety Check Up – A Lucky Hut Trip! My wife and I walked out of our first avalanche awareness class terrified and immediately reflected on a trip we took the year before the Fowler Hillard hut, part of the 10th mountain division hut systems. We humbly share this story, so you know we don't always have things dialed. We also take full responsibility … Continue reading Safety Check Up – A Lucky Hut Trip! The Bullwheels are Turning, The Bullwheels are Turning! Welcome to the 2018 /19 ski season! The lifts are turning and just on time... Ullr Provides! By now, you may have heard that the traditional early bird ski areas of Arapahoe Basin and Loveland have been turning the bull wheels, including the newest chair Chet's Dream High-Speed Quad, for a couple weeks. In … Continue reading The Bullwheels are Turning, The Bullwheels are Turning! Camp Hale – Where America’s Passion for​ Skiing Began can be Preserved​ Forever! 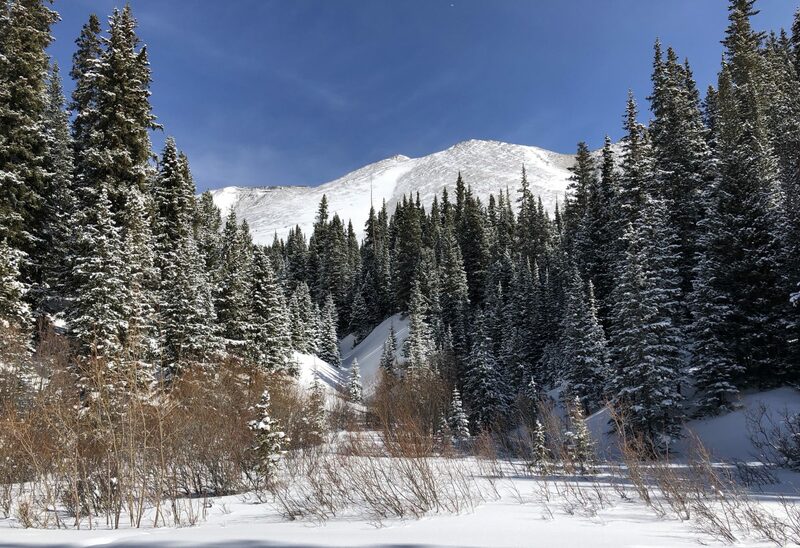 We are excited to be supporting Senator Bennet and Representative Polis for their commitment towards protecting the nearly 100,000 acre landscape in Eagle and Summit Counties as part of the Continental Divide Recreation, Wilderness, and Camp Hale Legacy Act. We encourage Senator Gartner to also support this project. We believe committing to this project is simply good business … Continue reading Camp Hale – Where America’s Passion for​ Skiing Began can be Preserved​ Forever! The Mountains Are Calling, Get There Safely – Know Before You Go! Welcome back to the fourth edition of The Mountains are Calling, Get There Safely. Throughout this series, we have been talking about options to get to the mountains without driving, prepping the car with items to have on hand, and gaining skills to be confident on the road. If you are just now finding this series, … Continue reading The Mountains Are Calling, Get There Safely – Know Before You Go! The Mountains Are Calling, Get There Safely – White Snow and White Knuckles Don’t Go Well Together! Welcome back to our third installment of The Mountains Are Calling, Get There Safely. In this article, we will talk about how to become more comfortable with driving through a raging blizzard in order to get to fresh tracks or, as you'll see soon, back from a great free concert. Even if you avoid the … Continue reading The Mountains Are Calling, Get There Safely – White Snow and White Knuckles Don’t Go Well Together!